A new spot offering bubble tea, smoothies and more has made its debut in Chinatown. Located at 2002 S. Wentworth Ave., Suite B09, the new arrival to the Richland Center food court is called Elitea. This spot's extensive menu includes offerings such as hot or iced tea, milk tea, fresh smoothies, fruit teas, tea lattes and more. Notable menu options include the roasted mountain oolong tea with cheese topping, the kiwi avocado fruit smoothie and a strawberry latte with coconut pudding. Here's themenu. Elitea has just two reviews on Yelp, which gives it a five-star rating thus far. 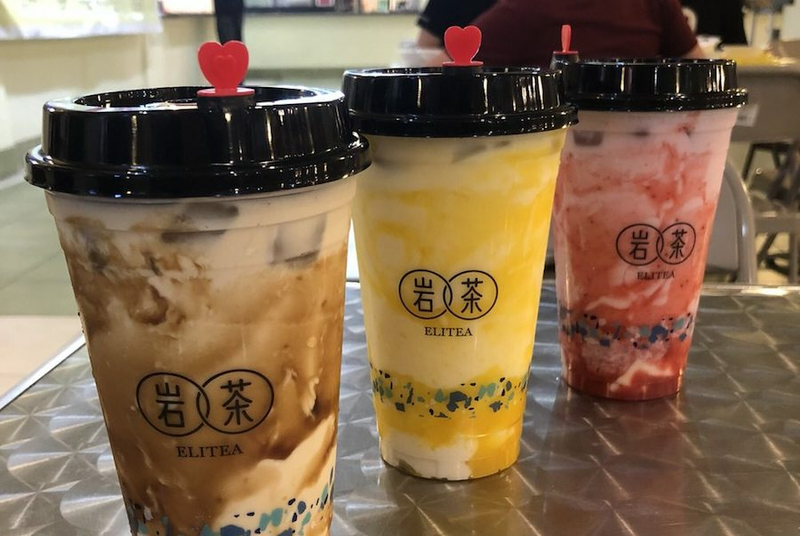 Vivian F., who reviewed it on Aug. 19, wrote, "I got the iced jasmine green tea with cheese top plus boba and I can confidently say that it was one of the best tea drinks I have ever had (definitely the best in Chicago Chinatown). I would highly recommend trying if you haven't before!" And Victoria K. noted, "Another fantastic milk tea and beverage place in Chinatown! The staff there really care about their drinks and are very attentive to their customers! The Brown Sugar Milk Tea has a great and strong tea flavor. We asked for for less sugar and so the drink was perfect for us. The tapioca was also nice and chewy." Elitea is open from 11 a.m.-9 p.m. Monday-Thursday and 11 a.m.-9:30 p.m. Friday-Sunday.